10.25" Digital Instrument Cluster Display, 10.25" Touchscreen Multimedia Display, 64-Color Interior Ambient Lighting, Active Lane Changing Assist, AMG Line, Augmented Video for Navigation, Connect20, DISTRONIC PLUS w/Steering Assist, Driver Assistance Package, Garage Door Opener, HANDS-FREE ACCESS, Heated Front Seats, Heated Steering Wheel, Inductive Wireless Charging w/NFC Pairing, KEYLESS GO Package, KEYLESS-GO, MB Navigation, Mercedes Me Essentials Package, Mirror Package, Multimedia Package, Night Package, Parking Assistance Package, PARKTRONIC w/Advanced Parking Assist, Power Folding Side Mirrors, Premium Package, PRE-SAFE System, Rear Spoiler, Wheels: 19" AMG® Multi-Spoke Black. Recent Arrival! 24/35 City/Highway MPG10.25" Digital Instrument Cluster Display, 10.25" Touchscreen Multimedia Display, 64-Color Interior Ambient Lighting, Active Lane Changing Assist, AMG Line, Augmented Video for Navigation, Connect20, DISTRONIC PLUS w/Steering Assist, Driver Assistance Package, Garage Door Opener, HANDS-FREE ACCESS, Heated Front Seats, Heated Steering Wheel, Inductive Wireless Charging w/NFC Pairing, KEYLESS GO Package, KEYLESS-GO, MB Navigation, Mercedes Me Essentials Package, Mirror Package, Multimedia Package, Night Package, Parking Assistance Package, PARKTRONIC w/Advanced Parking Assist, Power Folding Side Mirrors, Premium Package, PRE-SAFE System, Rear Spoiler, Wheels: 19" AMG® Multi-Spoke Black. 12.3" Digital Instrument Cluster, Active Parking Assist, Adaptive Highbeam Assist, AMG® Night Package, Burmester Surround Sound System, COMAND® Navigation w/Voice Control, Driver Assistance Package, Exterior Lighting Package, Head-Up Display w/AMG® Specific Content, Heated & Ventilated Front Seats, Inductive Wireless Charging w/NFC Pairing, LED Intelligent Light System, Live Traffic, Multimedia Package, Night Package, Panorama Roof, Parking Assistance Package, Power Rear Window Sunshade, Surround View System, Touchpad. Recent Arrival! 19/27 City/Highway MPG12.3" Digital Instrument Cluster, Active Parking Assist, Adaptive Highbeam Assist, AMG® Night Package, Burmester Surround Sound System, COMAND® Navigation w/Voice Control, Driver Assistance Package, Exterior Lighting Package, Head-Up Display w/AMG® Specific Content, Heated & Ventilated Front Seats, Inductive Wireless Charging w/NFC Pairing, LED Intelligent Light System, Live Traffic, Multimedia Package, Night Package, Panorama Roof, Parking Assistance Package, Power Rear Window Sunshade, Surround View System, Touchpad. 10.25" Center Display, Blind Spot Assist, Burmester Surround Sound System, Chrome Door Handle Inserts, COMAND® Navigation w/Voice Control, Electronic Trunk Closer, HANDS-FREE ACCESS, HANDS-FREE Comfort Package, Heated Front Seats, Heated Steering Wheel, Heating for Multifunction Steering Wheel, Inductive Wireless Charging w/NFC Pairing, KEYLESS GO®, Live Traffic, Multimedia Package, Premium Package, Rear Cross Traffic Alert, SiriusXM Satellite Radio, Touchpad. Recent Arrival! 22/33 City/Highway MPG10.25" Center Display, Blind Spot Assist, Burmester Surround Sound System, Chrome Door Handle Inserts, COMAND® Navigation w/Voice Control, Electronic Trunk Closer, HANDS-FREE ACCESS, HANDS-FREE Comfort Package, Heated Front Seats, Heated Steering Wheel, Heating for Multifunction Steering Wheel, Inductive Wireless Charging w/NFC Pairing, KEYLESS GO®, Live Traffic, Multimedia Package, Premium Package, Rear Cross Traffic Alert, SiriusXM Satellite Radio, Touchpad. 10.25" Center Display, Blind Spot Assist, Electronic Trunk Closer, HANDS-FREE ACCESS, HANDS-FREE Comfort Package, Heated Front Seats, Heated Steering Wheel, Heating for Multifunction Steering Wheel, KEYLESS GO®, Live Traffic, Panorama Sunroof, Premium Package, Rear Cross Traffic Alert, SD-Card Navigation Pre-Wiring, SiriusXM Satellite Radio. Recent Arrival! 22/33 City/Highway MPG10.25" Center Display, Blind Spot Assist, Electronic Trunk Closer, HANDS-FREE ACCESS, HANDS-FREE Comfort Package, Heated Front Seats, Heated Steering Wheel, Heating for Multifunction Steering Wheel, KEYLESS GO®, Live Traffic, Panorama Sunroof, Premium Package, Rear Cross Traffic Alert, SD-Card Navigation Pre-Wiring, SiriusXM Satellite Radio. Active Parking Assist, AMG® Body Styling, Blind Spot Assist, Burmester Surround Sound System, Electric Trunk Closer, Hands-Free Access, Heated Steering Wheel, KEYLESS GO Comfort Package Code, KEYLESS GO®, LED Logo Projectors (Set of 2), NFC Wireless Charging, Panorama Roof, Parking Assistance Package, Power Rear Window Sunshade, Premium 1 Package, SiriusXM Radio, Sport Interior, Sport Package, Surround View Camera. 30/22 Highway/City MPGActive Parking Assist, AMG® Body Styling, Blind Spot Assist, Burmester Surround Sound System, Electric Trunk Closer, Hands-Free Access, Heated Steering Wheel, KEYLESS GO Comfort Package Code, KEYLESS GO®, LED Logo Projectors (Set of 2), NFC Wireless Charging, Panorama Roof, Parking Assistance Package, Power Rear Window Sunshade, Premium 1 Package, SiriusXM Radio, Sport Interior, Sport Package, Surround View Camera. Active Parking Assist, AMG® Line Exterior, Blind Spot Assist, Burmester Surround Sound System, Comfort Box, Electric Trunk Closer, Hands-Free Access, KEYLESS GO Comfort Package Code, KEYLESS GO®, LED Logo Projectors (Set of 2), NFC Wireless Charging, Panorama Roof, Parking Assistance Package, Premium 1 Package, Rear Seat Entertainment & Comfort Adapter Pre-Wire, Rear Spoiler, SiriusXM Radio, Sport Interior, Surround View Camera. 21/29 City/Highway MPGActive Parking Assist, AMG® Line Exterior, Blind Spot Assist, Burmester Surround Sound System, Comfort Box, Electric Trunk Closer, Hands-Free Access, KEYLESS GO Comfort Package Code, KEYLESS GO®, LED Logo Projectors (Set of 2), NFC Wireless Charging, Panorama Roof, Parking Assistance Package, Premium 1 Package, Rear Seat Entertainment & Comfort Adapter Pre-Wire, Rear Spoiler, SiriusXM Radio, Sport Interior, Surround View Camera. 12.3" Digital Instrument Cluster, Blind Spot Assist, Burmester Surround Sound System, Electronic Trunk Closer, Hands-Free Access, Heated Front Seats, Heated Steering Wheel, Inductive Wireless Charging w/NFC Pairing, KEYLESS GO Comfort Package, KEYLESS GO®, Luxury Styling, Panorama Roof, Parking Assistance Package, Premium Package, SiriusXM Radio, Suspension w/Selective Damping. Recent Arrival! 20/28 City/Highway MPG12.3" Digital Instrument Cluster, Blind Spot Assist, Burmester Surround Sound System, Electronic Trunk Closer, Hands-Free Access, Heated Front Seats, Heated Steering Wheel, Inductive Wireless Charging w/NFC Pairing, KEYLESS GO Comfort Package, KEYLESS GO®, Luxury Styling, Panorama Roof, Parking Assistance Package, Premium Package, SiriusXM Radio, Suspension w/Selective Damping. 10.25" Digital Instrument Cluster Display, 10.25" Touchscreen Multimedia Display, 64-Color Interior Ambient Lighting, Auto-Dimming Rearview & Driver-Side Mirrors, Blind Spot Assist, Connect20, Garage Door Opener, HANDS-FREE ACCESS, Heated Front Seats, Heated Steering Wheel, KEYLESS GO Package, KEYLESS GO®, Mirror Package, Power Folding Side Mirrors, Premium Package, Rear Spoiler. Recent Arrival! 24/35 City/Highway MPG10.25" Digital Instrument Cluster Display, 10.25" Touchscreen Multimedia Display, 64-Color Interior Ambient Lighting, Auto-Dimming Rearview & Driver-Side Mirrors, Blind Spot Assist, Connect20, Garage Door Opener, HANDS-FREE ACCESS, Heated Front Seats, Heated Steering Wheel, KEYLESS GO Package, KEYLESS GO®, Mirror Package, Power Folding Side Mirrors, Premium Package, Rear Spoiler. Blind Spot Assist, Body Color Rear Spoiler, Electronic Trunk Closer, HANDS-FREE ACCESS, HANDS-FREE Comfort Package, Heated Front Seats, Heated Steering Wheel, Heating for Multifunction Steering Wheel, KEYLESS GO®, Live Traffic, Premium Package, Rear Cross Traffic Alert, SD-Card Navigation Pre-Wiring, SiriusXM Satellite Radio. Recent Arrival! 22/33 City/Highway MPGBlind Spot Assist, Body Color Rear Spoiler, Electronic Trunk Closer, HANDS-FREE ACCESS, HANDS-FREE Comfort Package, Heated Front Seats, Heated Steering Wheel, Heating for Multifunction Steering Wheel, KEYLESS GO®, Live Traffic, Premium Package, Rear Cross Traffic Alert, SD-Card Navigation Pre-Wiring, SiriusXM Satellite Radio. Blind Spot Assist, Body Color Rear Spoiler, Electronic Trunk Closer, HANDS-FREE ACCESS, HANDS-FREE Comfort Package, Heated Front Seats, Heated Steering Wheel, Heating for Multifunction Steering Wheel, KEYLESS GO®, LED Logo Projectors (Set of 2), Live Traffic, Premium Package, Rear Cross Traffic Alert, SD-Card Navigation Pre-Wiring, SiriusXM Satellite Radio. Recent Arrival! 22/33 City/Highway MPGBlind Spot Assist, Body Color Rear Spoiler, Electronic Trunk Closer, HANDS-FREE ACCESS, HANDS-FREE Comfort Package, Heated Front Seats, Heated Steering Wheel, Heating for Multifunction Steering Wheel, KEYLESS GO®, LED Logo Projectors (Set of 2), Live Traffic, Premium Package, Rear Cross Traffic Alert, SD-Card Navigation Pre-Wiring, SiriusXM Satellite Radio. Active Front Seats Package w/Massage Feature, Active Parking Assist, Adaptive Highbeam Assist, AMG® Line Exterior, Blind Spot Assist, Burmester Surround Sound System, Electric Trunk Closer, Exterior Lighting Package, Hands-Free Access, KEYLESS GO®, LED Intelligent Light System, LED Logo Projectors (Set of 2), NFC Wireless Charging, Panorama Roof, Parking Assistance Package, Premium 1 Package, Rapid Heating Functionality for Front Seats, Rear Seat Entertainment & Comfort Adapter Pre-Wire, Rear Spoiler, SiriusXM Radio, Sport Interior, Surround View Camera. Recent Arrival! 21/29 City/Highway MPGActive Front Seats Package w/Massage Feature, Active Parking Assist, Adaptive Highbeam Assist, AMG® Line Exterior, Blind Spot Assist, Burmester Surround Sound System, Electric Trunk Closer, Exterior Lighting Package, Hands-Free Access, KEYLESS GO®, LED Intelligent Light System, LED Logo Projectors (Set of 2), NFC Wireless Charging, Panorama Roof, Parking Assistance Package, Premium 1 Package, Rapid Heating Functionality for Front Seats, Rear Seat Entertainment & Comfort Adapter Pre-Wire, Rear Spoiler, SiriusXM Radio, Sport Interior, Surround View Camera. Active Parking Assist, AMG® Exterior Night Styling, AMG® Night Package, AMG® Performance Exhaust System, AMG® Track Pace App, Blind Spot Assist, Burmester Surround Sound System, Head-Up Display w/AMG®-Specific Content, Heated & Ventilated Front Seats, Heated Steering Wheel, Panorama Roof, Parking Assistance Package, Surround View System. Recent Arrival! 21/28 City/Highway MPGActive Parking Assist, AMG® Exterior Night Styling, AMG® Night Package, AMG® Performance Exhaust System, AMG® Track Pace App, Blind Spot Assist, Burmester Surround Sound System, Head-Up Display w/AMG®-Specific Content, Heated & Ventilated Front Seats, Heated Steering Wheel, Panorama Roof, Parking Assistance Package, Surround View System. Active Parking Assist, AMG® Line Exterior, Blind Spot Assist, Burmester Surround Sound System, Comfort Box, Electric Trunk Closer, Hands-Free Access, Head-Up Display, Heated Steering Wheel, KEYLESS GO Comfort Package Code, KEYLESS GO®, LED Logo Projectors (Set of 2), Lowered Suspension w/Selective Damping System, NFC Wireless Charging, Panorama Roof, Parking Assistance Package, Perforated Front Brake Discs & Fr Brake Calipers, Premium 1 Package, Rear Seat Entertainment & Comfort Adapter Pre-Wire, Rear Spoiler, SiriusXM Radio, Sport Interior, Surround View Camera. Recent Arrival! 21/29 City/Highway MPGActive Parking Assist, AMG® Line Exterior, Blind Spot Assist, Burmester Surround Sound System, Comfort Box, Electric Trunk Closer, Hands-Free Access, Head-Up Display, Heated Steering Wheel, KEYLESS GO Comfort Package Code, KEYLESS GO®, LED Logo Projectors (Set of 2), Lowered Suspension w/Selective Damping System, NFC Wireless Charging, Panorama Roof, Parking Assistance Package, Perforated Front Brake Discs & Fr Brake Calipers, Premium 1 Package, Rear Seat Entertainment & Comfort Adapter Pre-Wire, Rear Spoiler, SiriusXM Radio, Sport Interior, Surround View Camera. 3-Spoke Wood & Leather Steering Wheel, Active Distance Assist DISTRONIC, Active Lane Change Assist, Active Parking Assist, Active Steering Assist, AMG® Line Exterior, Comfort Box, Driver Assistance Package, Extended Restart by Stop & Go, HANDS-FREE ACCESS, Heated & Ventilated Front Seats, Heated Rear Seats, Heated Steering Wheel, KEYLESS GO®, Multicontour Front Seats w/Massage Feature, Power Rear-Window Sunshades, Premium Package, Rear Seat Entertainment & Comfort Adapter, Rear Spoiler, Sport Package, Surround View Camera. Recent Arrival! 27/17 Highway/City MPG3-Spoke Wood & Leather Steering Wheel, Active Distance Assist DISTRONIC, Active Lane Change Assist, Active Parking Assist, Active Steering Assist, AMG® Line Exterior, Comfort Box, Driver Assistance Package, Extended Restart by Stop & Go, HANDS-FREE ACCESS, Heated & Ventilated Front Seats, Heated Rear Seats, Heated Steering Wheel, KEYLESS GO®, Multicontour Front Seats w/Massage Feature, Power Rear-Window Sunshades, Premium Package, Rear Seat Entertainment & Comfort Adapter, Rear Spoiler, Sport Package, Surround View Camera. 10.25" Center Display, Blind Spot Assist, Electronic Trunk Closer, HANDS-FREE ACCESS, HANDS-FREE Comfort Package, Heated Front Seats, Heated Steering Wheel, Heating for Multifunction Steering Wheel, KEYLESS GO®, Live Traffic, Premium Package, Rear Cross Traffic Alert, SD-Card Navigation Pre-Wiring, SiriusXM Satellite Radio. Recent Arrival! 22/33 City/Highway MPG10.25" Center Display, Blind Spot Assist, Electronic Trunk Closer, HANDS-FREE ACCESS, HANDS-FREE Comfort Package, Heated Front Seats, Heated Steering Wheel, Heating for Multifunction Steering Wheel, KEYLESS GO®, Live Traffic, Premium Package, Rear Cross Traffic Alert, SD-Card Navigation Pre-Wiring, SiriusXM Satellite Radio. 10.25" Center Display, Blind Spot Assist, Electronic Trunk Closer, HANDS-FREE ACCESS, HANDS-FREE Comfort Package, Heated Front Seats, Heated Steering Wheel, Heating for Multifunction Steering Wheel, Inductive Wireless Charging w/NFC Pairing, KEYLESS GO®, Premium Package, Rear Cross Traffic Alert, SiriusXM Satellite Radio. Recent Arrival! 22/33 City/Highway MPG10.25" Center Display, Blind Spot Assist, Electronic Trunk Closer, HANDS-FREE ACCESS, HANDS-FREE Comfort Package, Heated Front Seats, Heated Steering Wheel, Heating for Multifunction Steering Wheel, Inductive Wireless Charging w/NFC Pairing, KEYLESS GO®, Premium Package, Rear Cross Traffic Alert, SiriusXM Satellite Radio. AMG® Line Exterior, Blind Spot Assist, Burmester Surround Sound System, Comfort Box, Electronic Trunk Closer, Hands-Free Access, Heated Front Seats, Heated Steering Wheel, Inductive Wireless Charging w/NFC Pairing, KEYLESS GO Comfort Package, KEYLESS GO®, LED Logo Projectors (Set of 2), Lowered Suspension w/Selective Damping, Navigation System, Panorama Sunroof, Premium Package, Pre-Wiring for Rr Seat Ent & Comfort Adapter, Remote keyless entry, SiriusXM Radio, Spoiler, Sport Exterior, Sport Interior, Traction control. Recent Arrival! 28/20 Highway/City MPGAMG® Line Exterior, Blind Spot Assist, Burmester Surround Sound System, Comfort Box, Electronic Trunk Closer, Hands-Free Access, Heated Front Seats, Heated Steering Wheel, Inductive Wireless Charging w/NFC Pairing, KEYLESS GO Comfort Package, KEYLESS GO®, LED Logo Projectors (Set of 2), Lowered Suspension w/Selective Damping, Navigation System, Panorama Sunroof, Premium Package, Pre-Wiring for Rr Seat Ent & Comfort Adapter, Remote keyless entry, SiriusXM Radio, Spoiler, Sport Exterior, Sport Interior, Traction control. 12.3" Widescreen Instrument Cluster, Active Parking Assist, AMG® Line Exterior, AMG® Body Styling, Blind Spot Assist, Burmester Surround Sound System, Comfort Box, Electric Trunk Closer, Hands-Free Access, Head-Up Display, Heated Steering Wheel, KEYLESS GO®, LED Logo Projectors (Set of 2), NFC Wireless Charging, Panorama Roof, Parking Assistance Package, Power Rear Window Sunshade, Premium 1 Package, Rear Seat Entertainment & Comfort Adapter Pre-Wire, Rear Spoiler, SiriusXM Radio, Sport Interior, Surround View Camera. Recent Arrival! 21/29 City/Highway MPG12.3" Widescreen Instrument Cluster, Active Parking Assist, AMG® Line Exterior, AMG® Body Styling, Blind Spot Assist, Burmester Surround Sound System, Comfort Box, Electric Trunk Closer, Hands-Free Access, Head-Up Display, Heated Steering Wheel, KEYLESS GO®, LED Logo Projectors (Set of 2), NFC Wireless Charging, Panorama Roof, Parking Assistance Package, Power Rear Window Sunshade, Premium 1 Package, Rear Seat Entertainment & Comfort Adapter Pre-Wire, Rear Spoiler, SiriusXM Radio, Sport Interior, Surround View Camera. If you’re in the market for an incomparably luxurious model balanced by exceptional driving dynamics and formidable performance, stop in and see our Mercedes-Benz dealer serving Washington DC. Our selection of Mercedes-Benz coupes, convertibles, sedans, and SUVs will open up a world of sophistication unlike one you’ve ever seen. Make a statement everywhere you go when you’re at the wheel of a Mercedes-Benz! Instantly recognizable and inarguably iconic, a Mercedes-Benz model will take every driving experience to the next level. These vehicles offer amenities that account for every facet of your driving experience. From seating with massage functions to customizable drive modes, you’ll never be bored in a new Mercedes-Benz. Let our finance experts guide you through the shopping process. You can count on our Washington DC area professionals to help you with your Mercedes-Benz financing, and we’ll help you whether you purchase the vehicle or lease it! Our accommodating team will ensure that you drive off in a Mercedes-Benz model that you love. Why wait? 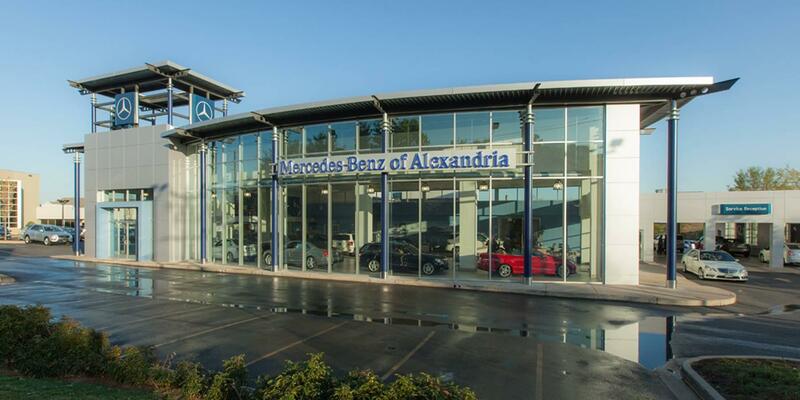 Contact Mercedes-Benz of Alexandria today to talk to us about our inventory and set up a test drive of the models of your choice. Whether you’re looking for the esteemed E-Class or a rugged model from the AMG® series, we can help. We look forward to assisting you! *Available only to qualified customers through Mercedes-Benz Financial services at participating dealers. Not everyone will qualify.